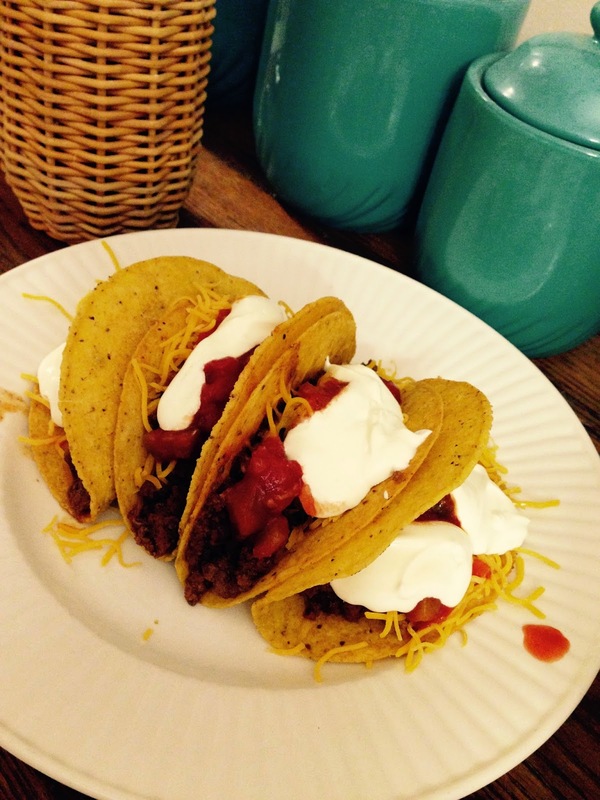 My husband's favorite meal is tacos. Chicken tacos, beef tacos, taco salads, walking tacos, quesadillas, burritos, you name something Mexican and I'm sure we've made it before. So when I stumbled upon this recipe for homemade taco seasoning, I ran right to the store to buy the ingredients in bulk. 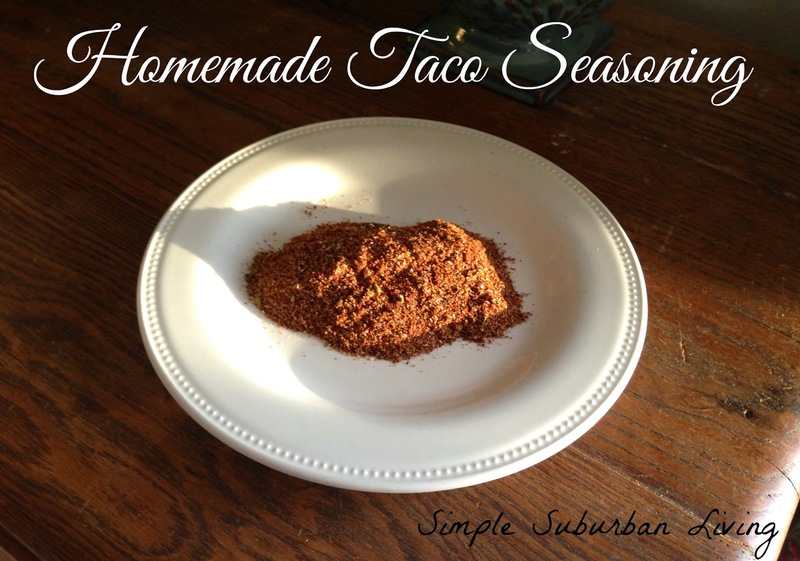 Taco seasoning isn't too expensive but I am always trying to find ways to cut down on our grocery bill, and when you eat as much of it as we do, making our own is definitely cheaper. Plus, the littlest SSL Family Kids are not into spicy food, so making my own seasoning means I can control the heat for them. My good friend also reminded me that this seasoning is gluten-free, whereas, store-bought is not. There are hidden fillers, preservatives and MSG in the store-bought packaged seasoning as well. To me, these are all great reasons why making our own is the better choice, and we're taking another step towards being chemical-free. This recipe makes about 3 tablespoons of seasoning. I usually double or triple the recipe each time I make it. I also leave out the crushed red pepper flakes most of the time to keep it milder for the kids. I have found that two tablespoons of seasoning is usually plenty for one pound of ground beef or chicken. 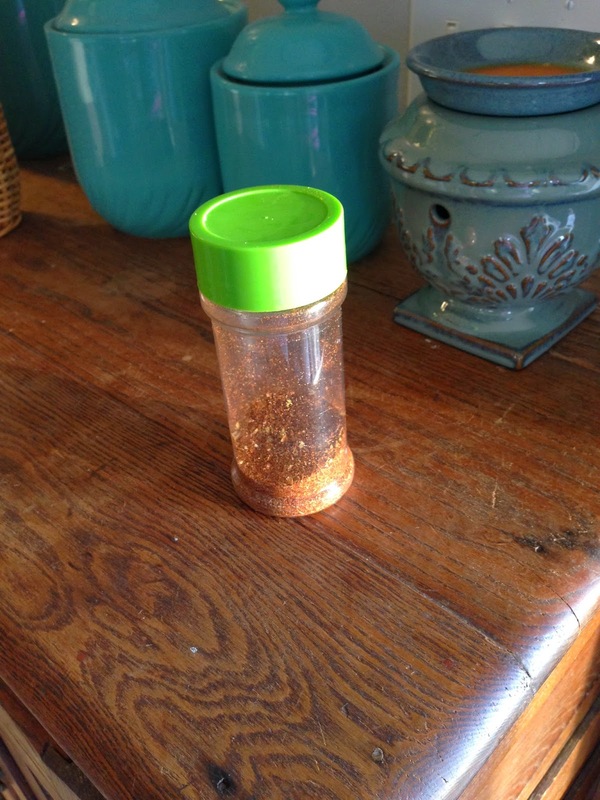 We store our seasoning in an old garlic salt container. We love it and do not notice any difference from the store-bought seasoning packets. This recipe also makes it easy to play around with and modify according to your taste. Great post! I found you on The Homestead Barn Hop and I'd like to invite you to share your talent on The HomeAcre Hop on Thursdays! We encourage posts on homesteading, homemaking, and homeschooling. This week we are having a special hop for your 'Best of 2014' posts...hope to see you there! This is great! I wish I used this on my football cheese ball that I just shared here. I will definitely give the gluten free option a try! We go through lots of taco seasoning at our house as well. I am bookmarking this page, so I can try your recipe. Thanks for linking up to the Country Fair Blog Party!